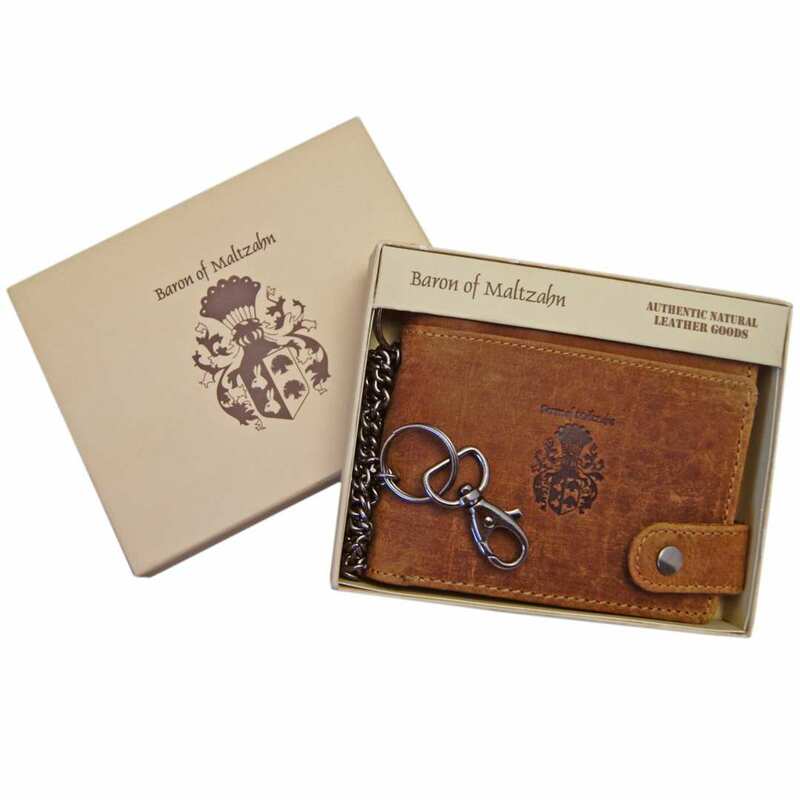 Product information "Mens chain wallet ABRAMOVICH of leather"
The trifold wallet ABRAMOVICH made of grassland leather is an exclusive chain money purse made of unadulterated bovine leather. Are you looking for an attractive purse for you or for that special person you want to surprise? 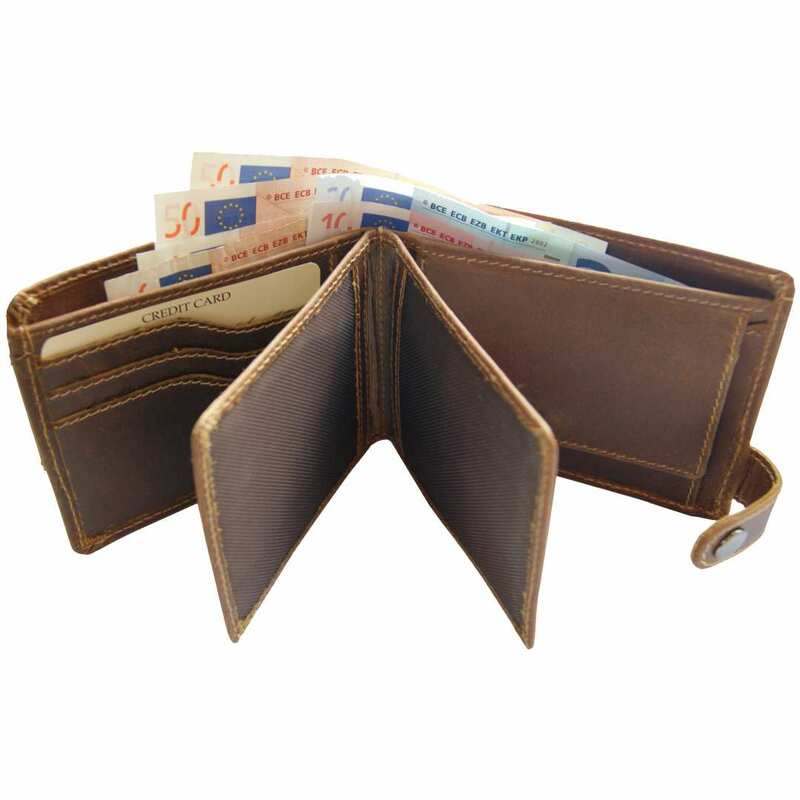 Then take a look at the wallet, which is characterized by a marvelous comfort, a traditional processing, an everlasting quality and an excellent appearance. 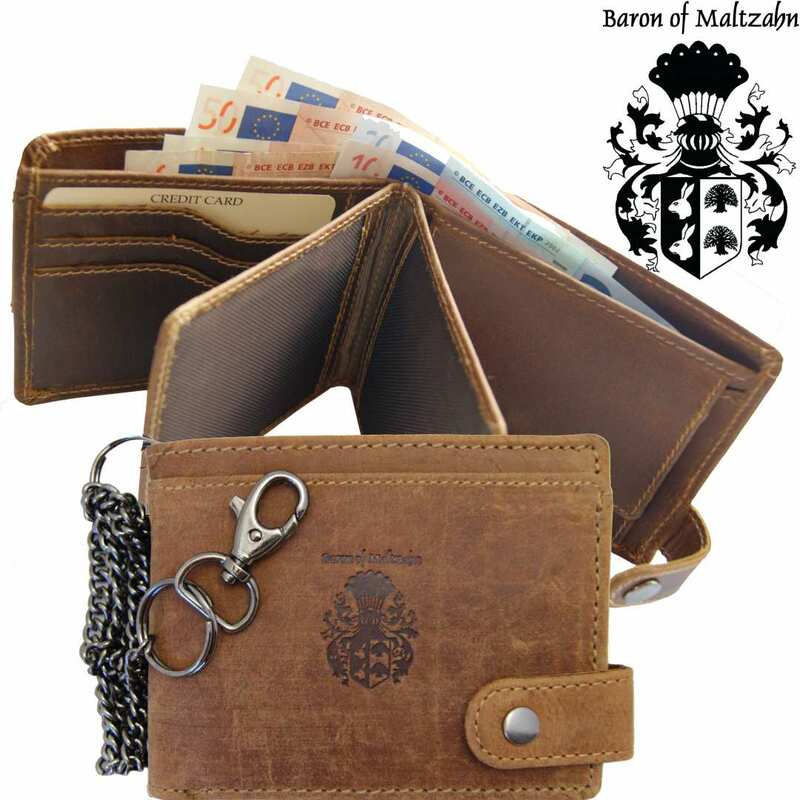 This valuable money purse is a high grade article and is part of the wallet Collection BARON of MALTZAHN. The chain wallet of grassland leather convinces by its robust materials and is sophisticatedly designed to fulfill its function perfectly. On the inside, you will find a big coin pocket with an incorporated card holder compartment, two inner flaps for cards and documents, a total amount of 12 card holders, two more compartments, another two extra mesh sections in the middle and two bill pockets. Furthermore, the wallet is also is provided with an outer zippered section that can be used as a secret pocket. Store all your important belongings safely in this purse and carry everything with the help of this reliable companion. Just close it by using the front flap and pushing the button. Besides the various storing possibilities and the fantastic appearance, the wallet of grassland leather also provides a very special advantage: The detachable chain and the carabiner enable you to fix the purse to the belt loops of your trousers. That way, you won’t lose your important items and the wallet will stay where you have put it, even if it slides out of the pocket. 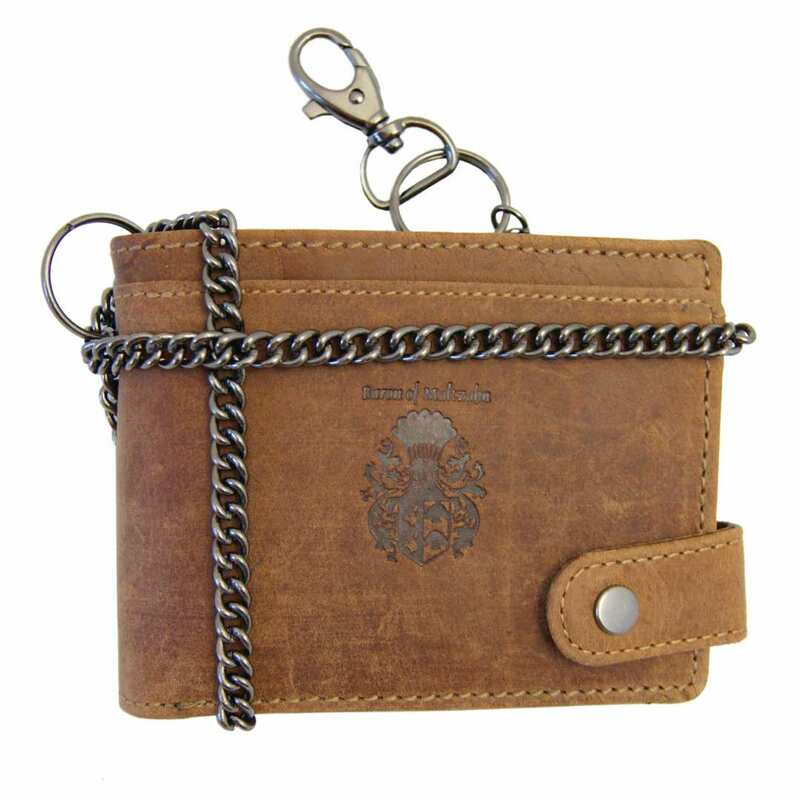 The gun metal chain does not only contribute to the safety of the wallet, but also gives it a very fancy look. The chain purse made of brown leather has a total size of 4.7 x 3.5 x 1.2 in. Discover now this refined article made of genuine, natural leather of the highest quality. The leather captivates by its many characteristics, like the excellent texture, is really long lasting and protects your belongings perfectly. Order now and enjoy this little pleasure! Reviews for "Mens chain wallet ABRAMOVICH of leather"